The upcoming film, Dragon Ball Z: Fukkatsu no F, is set to be the first Japanese film to premiere in 3D on IMAX screens. 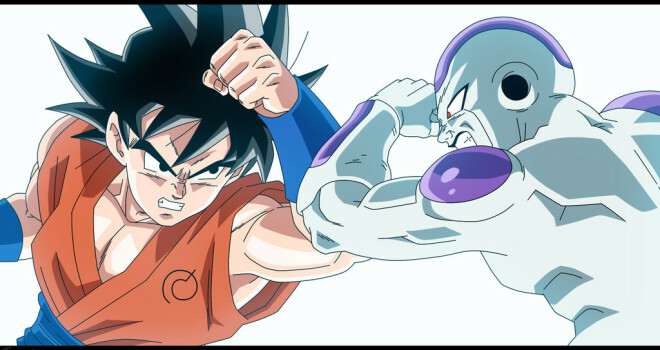 The films predecessor, Dragon Ball Z: Battle of Gods, was the first to premiere in IMAX 2D. It will be shown in 18 different IMAX theaters, in addition to multiple other Japanese 2D and 3D cinemas. The “F” in the film’s title stands for “Frieza”. In this movie, he will be revived by his surviving soldiers, Sorbet and Tagoma, using the Dragon Balls. Frieza’s army begins to invade Earth, while Goku and Vegeta are set to face off against Freiza and his new-found power. Dragon Ball Z: Fukkatsu no F will release in Japan on April 18. No North American release date has been confirmed, but considering the success of Battle of Gods, it will inevitably make its way over here.